Watch this episode to see how Heath Martin takes a Kansas brute with a brand new Prime bow called the RIZE! Lindsey Martin gets on the board too. Even though she has a run in with Kansas coyotes, she still drops a doe at 30 yards. 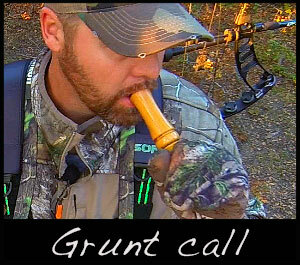 Not much can turn a buck better than a grunt call. Right now, this is the tool of choice. Get attention. Don’t be afraid to get louder if needed.